We will post calls for action and opportunities to have your voice heard here. 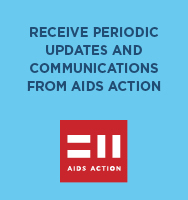 Please sign up to receive email notifications of Action Alerts so we can keep you informed. On Wednesday, September 13, 2017 the Massachusetts House of Representatives plans to override some of Governor’s vetoes in the FY 2018 budget. As you will remember, the Governor vetoed $2.5 million of the AIDS Line Item (4512-0103) in this past July. In July, the Governor vetoed $2.5 million of the $30.8 million approved by the legislature in FY 18, reducing funding in the AIDS Line Item (4512-0103) to $28.3 million. The reduction in HIV/AIDS funding will result in cuts to prevention and treatment programs that prevent the spread of the virus and keep HIV infected people healthier and living and working productively in their own communities.